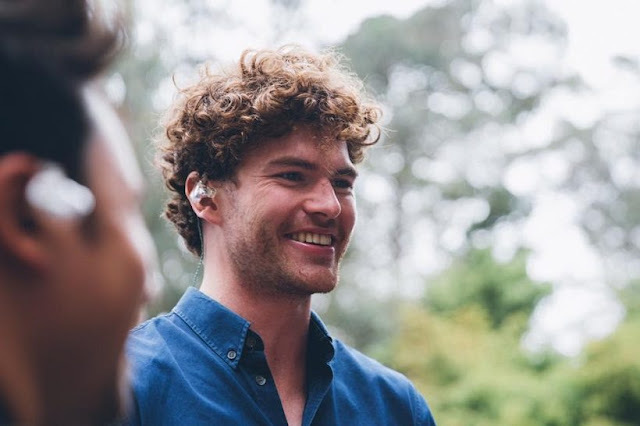 ‘Nation of Two’ the second album of the Australian singer and songwriter Vance Joy, has started its release by being No.1 in the singer’s homeland Australia. The album displaces ‘The Greatest Showman’s Soundtrack’ as the top of Aria Albums Chart. In its debut week, the ‘Nation of Two’ has ended the reign of the album that lasted eight weeks. ‘Nation of Two’ is the artist’s sophomore album, following his debut album ‘Dream Your Life Away’ that managed to top charts back in 2014. ‘We’re Going Home’, one of the songs featured in the album, rose fifteen places from No. 31 to land at No. 16 in the ARIA Single Chart for this week. Featuring in the album are more songs named; ‘Like Gold’, ‘Lay It One Me’, ‘Call if You Need Me’ and ‘Saturday Sun’ – a track which he played on ‘The Late Show With James Corden’ last week. This is also the first album from an Australian artist to be top this year in the Australian charts, which also had his previous album rise from 26th to 18th. Meanwhile, Ed Sheeran has three albums featuring in the Top 20, following his record breaking tour of Australia. ‘Divide’ has been certified seven times as platinum and is currently No.3, his diamond certified ‘Multiply’ has moved up two place from 10th to 8th and six times certified as platinum gains eight places from 20th to 12th. ‘Depth of Field’ by Sarah Blasko is in the 5th spot, as the Australian singer has scored her fifth album in the Top 10. This is ARIA Award winning singer’s sixth album, and it is a follow-up to her previous album ‘Eternal Return’, which had managed to reach No. 6 in November 2015. 6ix9ine, a rapper from the U.S., made his debut in the Top 20 at the 11th spot, with his mixtape ‘Day 69’. The Augie March, a band from Melbourne, have ‘Bootikins’ coming at the 20th spot. The album is the band’s first in four years, and the sixth overall. Meanwhile, in the ARIA Singles Chart, ‘God’s Plan’ by Drake has continued its run at the top for the fifth week in a row. Following Drake is Post Malone with his latest song ‘Psycho’ featuring Ty Dolla $ign, from his album ‘Beerbongs & Bentleys’. This is the rapper’s third song to feature in the top 10, after ‘Rockstar’ which was No. 1 back in October 2017, and ‘I Fall Apart’ which peaked at No. 2 in the last month’s chart.